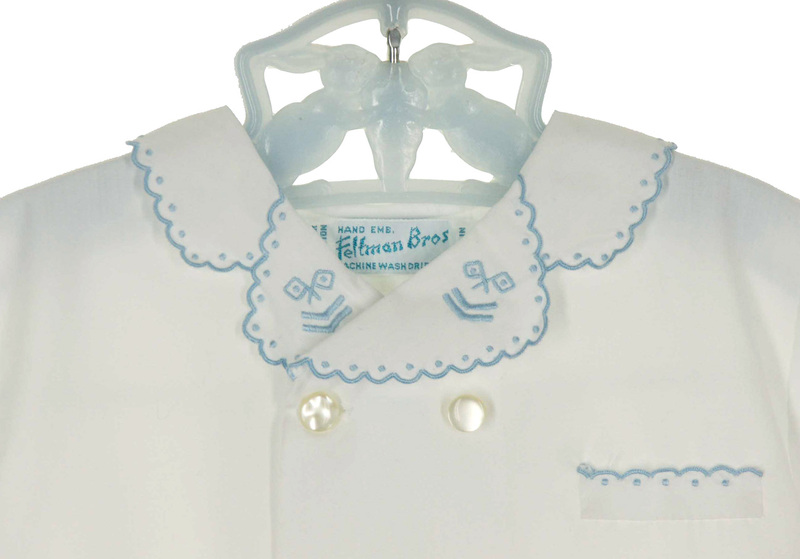 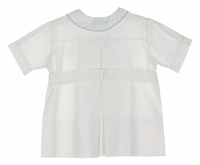 This sweet white cotton blend daygown is made by Feltman Brothers, a top designer of quality baby garments. 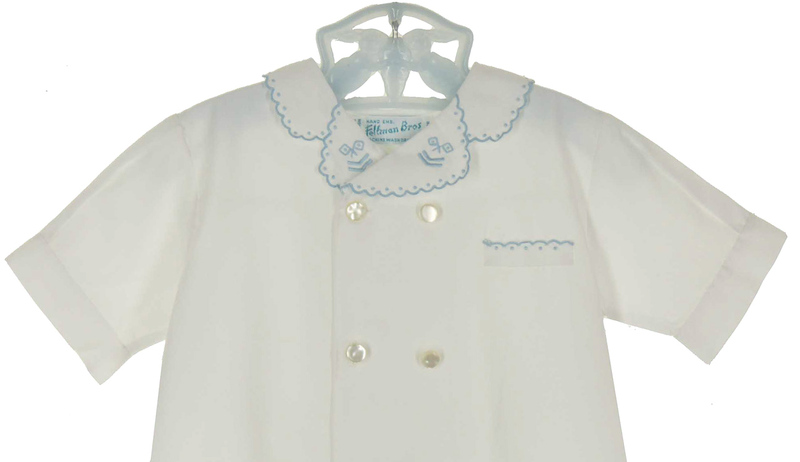 Made in vintage day dress or "apron" style, these darling baby boy's gowns are no longer being made. It features a double row of front pearlized buttons, a center back pleat with buttoned half belt, and a collar and pocket detail with blue embroidered trim with scalloped edging. 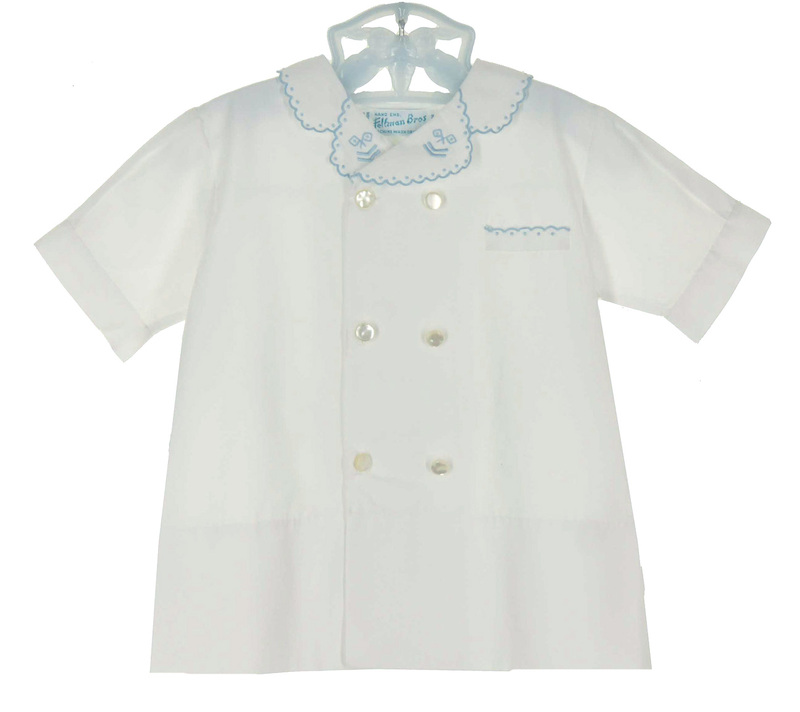 Absolutely precious for your baby boy! 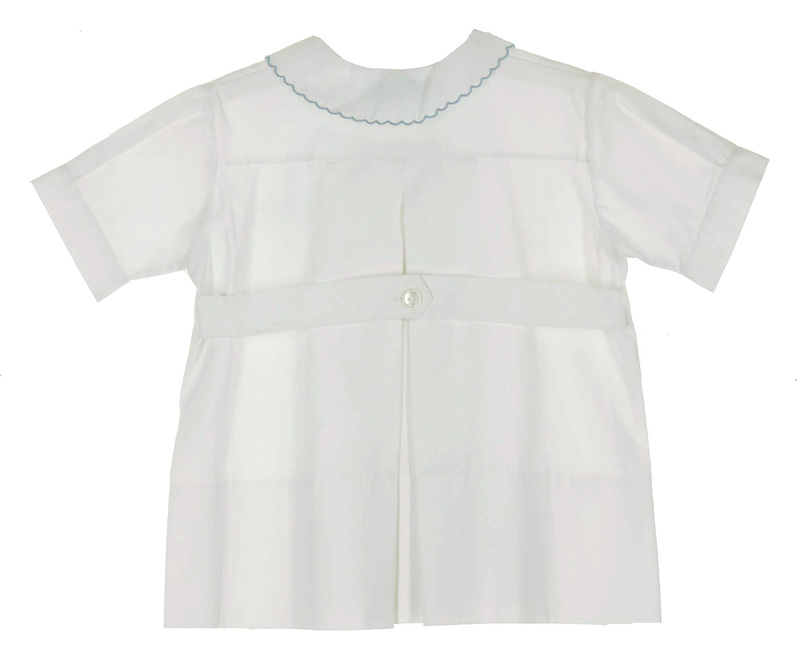 Perfect for a take home outfit or for first portraits.